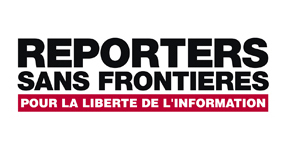 Condemning continued violence against journalists in Libya, the international organisation Reporters Without Borders (RSF) has called on the Government of National Accord (GNA) take a stand on the issue. The call comes in the wake of the killing just over a week ago of freelance Benghazi photojournalist Khaled Zintani . He was shot by an Islamic State sniper on 23 June in the city’s Gwarsha battlezone. RSF says its sources say that he was deliberately targeted by the sniper. He was the eighth journalist to be killed in Libya since the beginning of 2014, according to the head of RSF’s North Africa desk, Yasmine Kacha. Other journalists have simply disappeared. RSF highlighted the cases of blogger Ali Al-Asbli, who vanished in March and whom it believes was kidnapped, and of Badr Al Rabhi, a Libya HD TV correspondent. It says that according to its sources he was kidnapped by a military intelligence unit attached to the Libyan National Army of General Khalifa Hafter. While tacitly accepting that the GNA cannot protect anyone at the moment, RSF says that it must take a stand against the violence. “Those responsible for these crimes continue to act with complete impunity. We reiterate our appeal to the Government of National Accord, recently installed in Tripoli, to publicly undertake to protect journalists and to prioritize the fight against impunity,” said Kacha. Journalists are caught in the middle between Libya’s competing factions “and are unable to work freely,” RSF says, noting that Libya is no. 164 out of 180 countries in its 2016 World Press Freedom Index. RSF’s call is all the more pertinent at the moment. A photo of a group of foreign and Libyan journalists has been circulating on social media in the past couple of days amid claims that it is a picture of western military officials helping the Banyan Marsous operation in Sirte. The photo of the journalists has now been taken down by at least one Libyan official Facebook page, but such misinformation can put lives at risk.